Kaiser Permanente HealthConnect™, our electronic health record, links all aspects of important member information — everything from recent office visits and lab test results, to prescription refills, and billing. 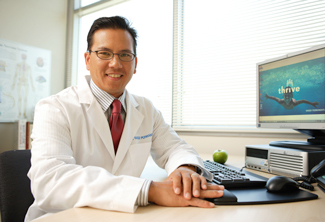 It also enhances communication among Kaiser Permanente physicians and between members and their doctors. Members appreciate having their medical information — including data on office visits, hospitalizations, and prescriptions — integrated into one secure electronic record. KP HealthConnect also enhances the way physicians work together. Specialists don't have to wait for the delivery of paper-based records and test results; physicians in multiple locations can view the same patient data at the same time, having a virtual consultation. With KP HealthConnect, patient safety is enhanced because caregivers and pharmacists don't have to decipher handwritten information in charts and prescriptions. If a member must be hospitalized, the electronic medical record speeds the member's access to care. Click here to learn more about KP HealthConnect™.